Foxbank Plantation is an 800-acre master planned community in Moncks Corner, conveniently located off Highway 52. This charming community includes three distinct neighborhoods: Lakeside, Sheridan and Alderly. All neighborhoods have access to many outdoor amenities, including an inviting swimming pool, a 67-acre lake, 141 acres of preserved wetlands, walking trails, green spaces and a children’s park. Future proposed amenities include an elementary school and a boutique village featuring retail shops and a grocery store. 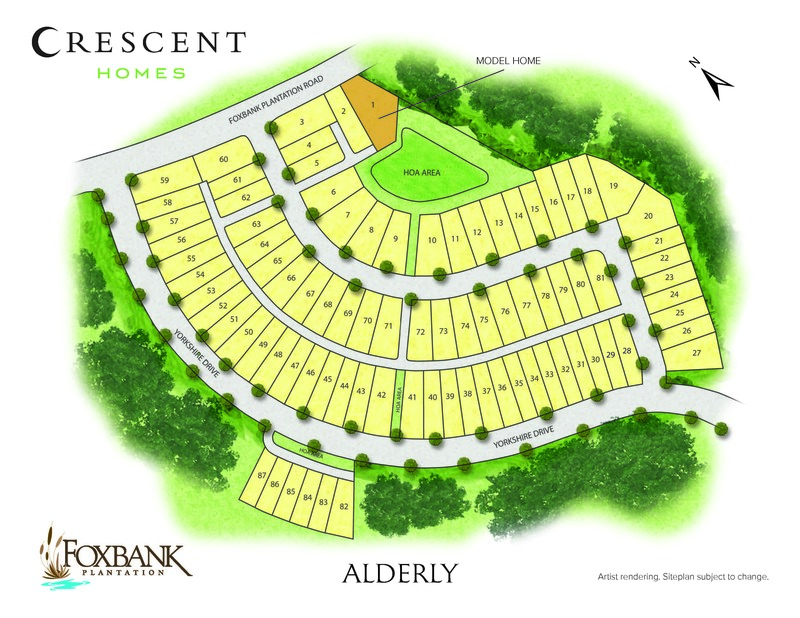 Alderly, features our 24’ Cottage Series plans, with lowcountry style double porches, detached garages with floorplans ranging from 3-6 Bedrooms and 1,500 sq. ft. to 3,100 + sq. ft. located conveniently at the entrance of the neighborhood. Brand New Foxbank Elementary School Now Open!